it adds CALIBR ammo schematics for the CRAFT workbench mod. it adds CALIBR ammo schematics for the CRAFT workbench mod. Also it adds a new Gunpowder item. 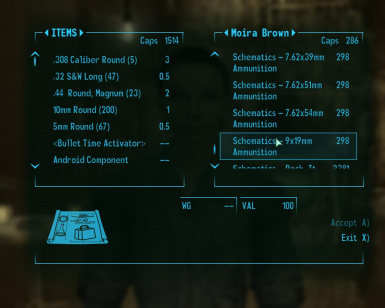 All the ammo schematics and the Gunpowder cans can be found at Craterside Supply in Megaton, at Lydia Montenegro in Tenpenny Tower and at Seagrave Holmes in Rivet City. 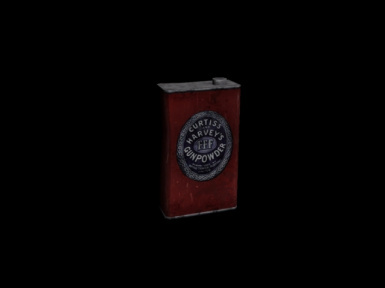 Adds all CALIBR and vanilla ammo schematics for sale at Craterside Supply and Flak&Shrapnel at Rivet City and one unique Gunpowder item. To create 1 Gunpowder can you will need 5 frag grenades, 3 frag mines, 2 Mini Nukes, 5 Missiles or any other type of CALIBR or default ammunition. Now in version 1.7, all the ammo types from the new CALIBR version 1.2 have been added, Gunpowder and schematics have been added to Lydia Montenegro in Tenpenny Tower, and in Seagrave Holmes' shop in Rivet City(NOT in Flak&Shrapnel anymore). Also I lowered the price of the gunpowder because it was too expensive. Now in version 1.6, when you disassemble anything(ammo, explosives), you will take Scrap Metal as well as Gunpowder. But for Shotgun Shells you'll take only 1 Gunpowder and 1 Scrap Metal(not Toy Car). The bug regarding the DarNifiedUI's mod menus has been fixed. 1. Extract the files to Bethesda Softworks\Fallout 3\Data. 2. Start Fallout Mod Manager, click the 'CALIBR Ammo Schematics - CRAFT' esp file, and make sure to load it AFTER CALIBR.esm, CRAFT.esm and CRAFT - Workbench Replacement. 1. Start Fallout Mod Manager, and uncheck the 'CALIBR Ammo Schematics - CRAFT.esp' file. 2. Delete the 'CALIBR Ammo Schematics - CRAFT' esp file from Bethesda Softworks\Fallout 3\Data folder. Just copy/paste and replace the older .esp file. Just make sure you have the right load order and you will be fine. None but if you find anything let me know please. 1.7,2009/9/28 - Added the new ammo types' schematics from the new 1.2 version of the CALIBR mod. Added all the items(schematics&gunpowder) to Lydia Montenegro in Tenpenny Tower and Seagrave Holmes(Flak&Shrapnel doesn't sell anything now). Lowered the gunpowder price for balance and increased the number of gunpowder cans that vendors sell. 1.6,2009/4/4 - Added 6 more schematics(Shotgun Shells, BBs, Missiles, Mini Nukes, Frag Grenades/Mines), and changed some scripts. Now instead of taking only Gunpowder after you disasseble something, you will take other stuff like Scrap Metal etc. 1.52, 2009/4/4 - Fixed a bug, where the ammo disassembling menu would be cut off due a conflict with the DarNifiedUI mod. Now the "ammunition" menu for disassembling ammo has been divided to 3 other submenus. 1.51, 2009/3/21 - Fixed a bug, where the ammo schematics and gunpowder not showing at Flak&Shrapnel's inventory. 1.5, 2009/3/21 - Updated the mod to use all the schematics of the new version 2.0 of CALIBR mod, added all the vanilla ammo except for shotgun shells and BBs, various tweaks for convienience(the messages when you create something now don't last so long) and finally added all the schematics and gunpowder for sale at Flak&Shrapnel's shop also. 1.41, 2009/3/6 - Minor update, added custom pipboy gunpowder icon. 1.4, 2009/3/5 - Removed the Abraxo Cleaner as an ammo ingredient and replaced it with Gunpowder, added gunpowder for sale at Craterside Supply. 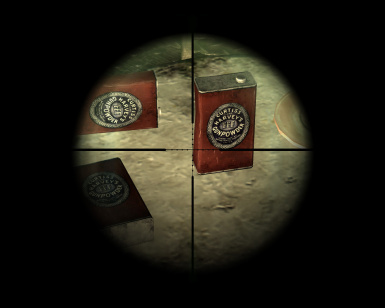 1.3, 2009/3/3 - Added the 7 remaining CALIBR ammo schematics. 1.2, 2009/3/3 - Added 10 more CALIBR ammo schematics. 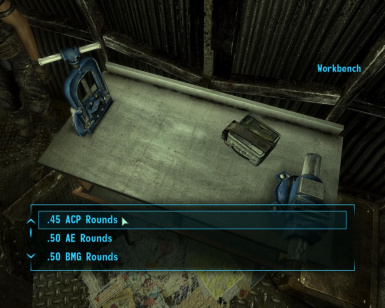 1.1, 2009/3/2 - Fixed the workbench menu, adding all the ammo types under a common "Ammunition" button, for convenience. 1.0, 2009/3/2 - Initial release, added 7 ammo schematics at Craterside Supply. Add portable mini-workbench for ammo and gunpowder creation. Add schematics for making the gunpowder from chemicals. 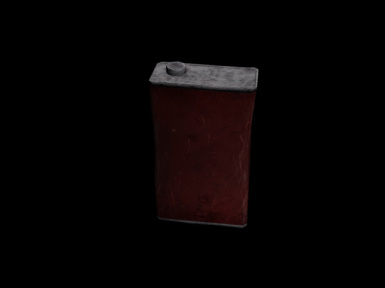 Add various sizes of Gunpowder cans. Create a script to collect used bullets and/or other custom items for crafting. Thanks to Bethesda for creating Fallout 3 and GECK!. Thanks to Highsight for creating the CRAFT and adding a schematics tutorial. Thanks to Tubal for creating the CALIBR mod. you give me credit if you distribute any part of this mod.